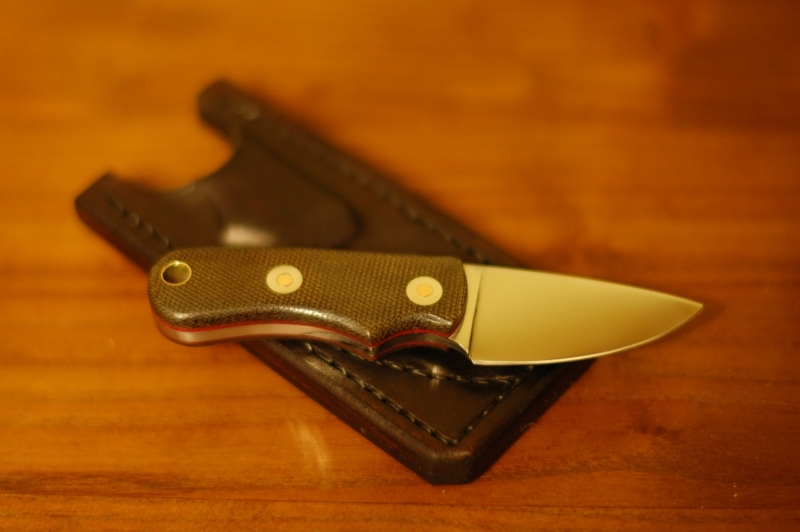 This entry was posted on September 8, 2011 at 2:15 am and is filed under EDC, knifemaking, Leather working, metalwork with tags bob loveless, edc, everyday carry, knifemaking, leather sheath, micarta. You can follow any responses to this entry through the RSS 2.0 feed. You can leave a response, or trackback from your own site. That’s a great little edc, Jim. I like the sheathe design, I may borrow it when I get my Blacksmith’s knife finished. I will need to create a profile to shape the leather around, now I’m going to have to think a little harder, lol. Dude you do great work! I love that thing. just one question… what is the loveless style cam? 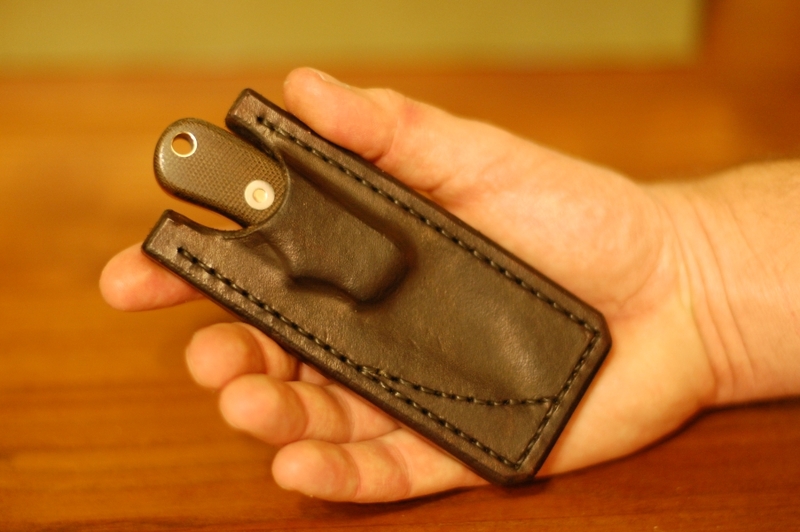 Bob Loveless used a hard piece of leather as a welt (middle piece of leather glued and sewn between the front and back layers of the sheath). This welt piece sticks out inside the sheath and the guard or finger ridge has to snap by it to get in or come out of the sheath. This helps you not lose your knife. Jim, fantastic set up for an EDC knife. Could I get you to make me one? Thanks for the compliment Jason but I am not making any to sell right now. Sure thing. Keep us folks that have difficulty making toast in mind if you want to make some cash on this amazing setup! Best Regards, Jason. 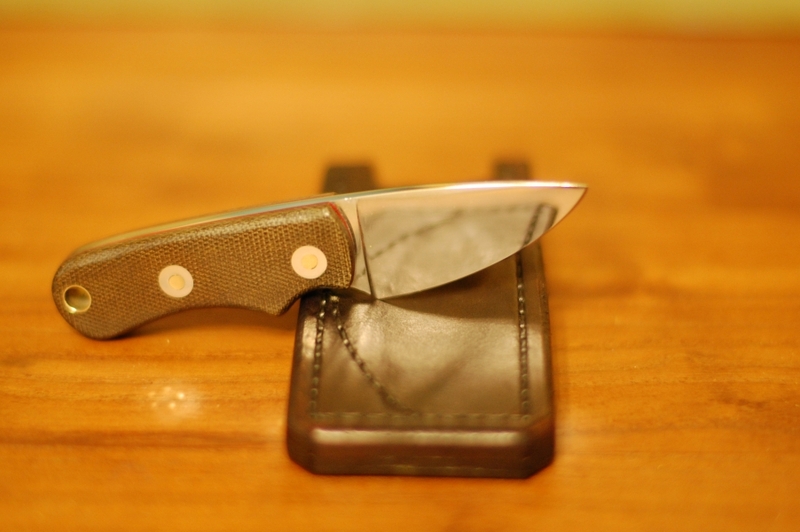 How can I get this same knife and sheath its perfect. Hey Michael – I am not making any to sell right now – too much going on. If I get a chance, there are a couple folks that have said they are interested – I will let you know. 1. What kind of leather did you use? 2. Did you have to wet form the leather at all? Veg tanned leather – and yes, certainly wet formed – go see Leodis leather on youtube.